What is SMS Security Password? ​Despite facing many challenges in 2017, the Turkish economy showcased a strong growth, attaining a growth rate of 11.1% in the third quarter year-over-year. This growth elevated Turkey to among the fastest growing economies of the G20 countries. The year-long recovery of the tourism revenue contributed to the financing of current account deficit. As foreign trade recorded an increase in exports, the growth trajectory achieved a positive curve. The increase in Euro-based economic activity had a positive impact on our export figures. In late 2016 and early 2017, the Turkish Lira went through significant depreciation vis-à-vis other developing currencies. However, the remedial actions and the funding policies of the Central Bank were able to level the fluctuations. Throughout the year, portfolio investments played a very crucial role in financing the current account deficit. In the period between January-November, a net total of USD 22 billion capital inflow was attracted by portfolio investments. 2017 witnessed enhanced progress in Aktif Bank's balance sheet figures, profitability and growth parameters. The profit generated in the third quarter increased by 60% year-over-year.Signing a 50% partnership deal with Halk Enerji to invest in solar power plant projects, our Bank founded the Aktif Halk Enerji Yatırımları and Halk Enerji İnşaat companies. Aktif Bank subsidiaries E-Kent and UPT (Universal Money Transfer) continued their innovative operations without compromising success. UPT ranked fourth on Turkey's Top 500 Large Service Exporters list in Banking and Other Financial Services. Over 150,000 Passolig users entered stadiums using only the mobile application on their mobile phones. The E-Kent urban transportation business recorded one billion public transport operations. 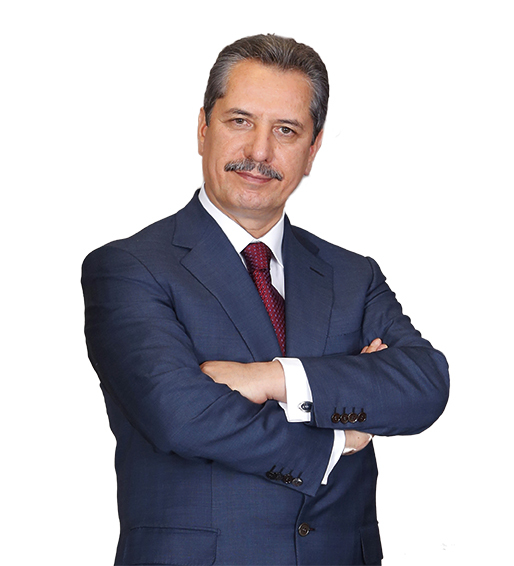 As the Çalık Group and Aktif Bank, we strive to keep current and sustainable by enhancing our innovative and entrepreneurial aspects, making efficient use of digitalization, and in line with our mission of creating value for human life. Managing the digital transformation requires a strong leadership and vision. Digital transformation is among the top agenda items of all of our companies. As Çalık Group, we invest in digitalization and take firm steps towards transforming our business practices with next generation information technologies. We view digitalization as a means of maintaining a competitive advantage in a very dynamic global atmosphere with our Group companies in the front lines. In 2017, we partnered with GE and founded Çalık Digital. Çalık Digital will focus our efforts towards digital transformation across all of our companies. We are planning on developing projects in the fields of cyber security and artificial intelligence in the next three years ahead. We are carrying out our processes for adaptive agility and analyzing our potential to ensure that Turkey and the countries where we operate are among those that lead the new industrial revolution. All of us are working towards contributing to the development of our country and driving development using latest technologies in our companies to be able to compete in a world transformed by Industry 4.0. I would like to thank all our stakeholders for their unwavering support for our operations in 2017, all our colleagues for their selfless efforts, and also our business partners and customers. I hope together we will create more added value for Turkey in the coming year.